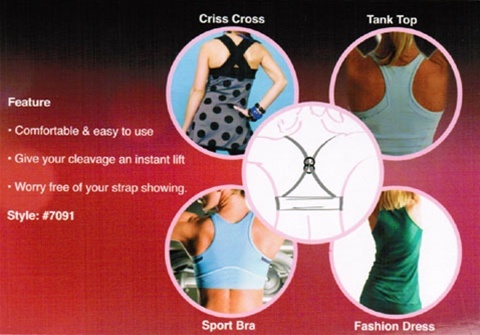 Now you don't have to worry about your strap showing or falling down. In addition, the bra strap solution gives your cleavage an instant lift by redistributing your chest weight and guiding your shoulders back for a more perfect posture. Comfortable and easy to use. Comes 3 per pack (beige, black, & clear). 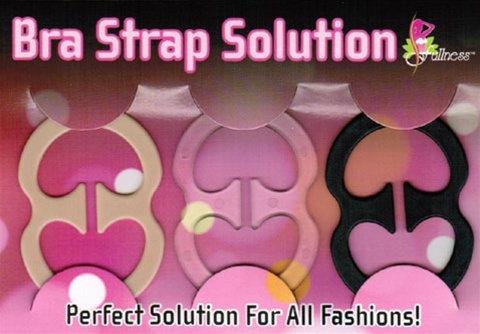 This is an ultimate bra strap solution.